It’s a fact – there’s lots of money to be made in the local lead generation for local businesses arena. What they don’t tell you is that dealing with local businesses is a whole different animal and can be complicated and create headaches for you if you are not as familiar with this arena. I’ve dealt with many local businesses only to find that I’m running around in circles simply because these local business owners are extremely hard to deal with and require a lot of hand-holding, and that’s why a lot of local marketers quit. You’ll learn from my mistakes, and learn one of the easiest ways to generate income starting today. 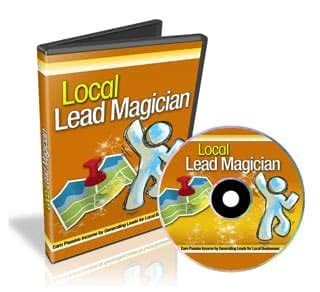 Now there are several ways to make money in terms of lead generation for local businesses. In this case, I want to talk about just two. You could generate leads and sell them directly to companies, but with this the situation is actually harder than it sounds. This is simply because a lot of companies don’t know how much money they are willing to pay per lead, and you get caught into a never ending cycle of back and forth negotiation. Another way is that you can find companies that are already brokering leads and that act as the middleman between the leads you generate and the company, and simply generate leads for these companies. These types of companies are willing to give you a specific percentage of the money whenever you generate leads for them. It’s quite obvious that these companies make a little more money. But the beauty of this is that you don’t have to do any selling or bargaining or anything like that. For example, let’s say that you are generating leads for roofing companies. In this situation you could generate a lead for the brokering company and earn $18. If you generate leads directly for the roofing company, you may earn $30-40, but then you would have to spend a lot more time, you’ll have a lot more headaches, and your profit margin will not be as great if your system is not set up. And that’s what this video training is all about, generating leads for these brokering companies that deal directly with local business owners so that you won’t have to do any of the selling or have any of the headaches that come along with it. How would you like to learn how to setup simple sites that generate leads and earn specific amount of money per lead like clockwork over and over again? In this specific video you will be given a quick overview of the video series as a whole. You’ll also learn how it all works and what tools you’re going to need to implement this system. You also want to make sure that you get into the right mindset before you jump head first into this system, to ensure that you start things the right way to avoid losing time and money. In this specific video, I’m going to show you different types of lead generation brokering companies that specifically deal with local companies. There are tons, but which ones are good and which ones aren’t? This video will show you your options and let you know who will be paying you. Choosing the right company is very important and I’ll show you how to apply to these certain companies, because in the world of local lead generation brokering companies, these companies tend to be a little stricter. In the specific video you’re going to learn how to figure out what type of lead or niche market you want to generate leads for. You see, there are many different types of niche markets that you could generate leads for and the best way you can approach this situation is by focusing on one specific market. For example roofing leads, electrician leads, plumbing leads, and much more. So as you can see here, the more specific the niche market is, the better it is. This video will help you figure this out and show you what your site is going to be all about. Before you can begin generating leads, you need to know who the end customer is, and create a customer profile so that you can create a site that targets this type of person. You’ll want to know their needs, their problems, and much more, so you can provide them with a solution – in this case a connection to the local business owner. Once you have this information in hand, then you’ll know exactly how you will be able to create the content that will appeal to this specific person’s needs, which will in turn help you create a high converting site. Once you have created your customer profile in the previous video by gathering the demographics information, it’s time to do some basic keyword research so you know exactly what keywords people are typing into Google and other search engines. Now remember that this keyword research relates to local geographical areas, so it’s a lot easier to rank in Google for these types of keywords. You want to be as specific as possible in targeting these specific geographical areas, and by doing so you will have a high converting site. You will need to have a professional domain name that acts as a lead generation page where visitors will go after watching the video. There’s a specific strategy that you can use to help boost your search engine ranking, that’s just an additional trick that you’ll learn in this video. In order to make your website look professional you need to choose the correct theme and design, and also get it populated with targeted content that appeals to that specific niche market. Now you don’t need to spend too much time on this process because it is merely acting as your landing page that will capture the leads, so the site does not need to be complex at all. 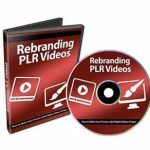 In this specific video, you will learn how to create videos the right way that will help generate leads for you. There is a right way of creating videos and there is a wrong way of creating videos when you’re dealing with local lead generation. And that’s exactly what you’re going to learn in this specific video. Once you’re done creating your videos in Video #9, in this specific video I’m to show you how to upload your videos and do it the right way so that when somebody views the video and they want to take action, they can click on the link below the video and go to your website, where you’ll generate the leads. So there you have it. That’s the video course, and as you can see, it’s quite powerful and simple once you get the hang of it. And don’t worry about all the technical details if you’re not tech-savvy. If you can simply watch a video, watch me over my shoulder step-by-step and click by click, then you should have no problem at all setting up this system. So grab this video course today and begin generating leads for local businesses and earn a passive commission on clockwork. If you want to learn how to earn passive income by generating leads for local businesses without having to sell to local businesses, then this is the training course for you.